Basic Dad: When Can I Leave My Kid at Home Alone? For months now, my 10-year-old son has been insisting that he doesn’t need a babysitter when my wife and I go out for date nights. I tell him that he’s not ready yet, no matter if other kids his age are doing it. But it’s possible that it’s me who isn’t ready: Whenever he asks me, I get these terrible images of him setting the place on fire, or of bumbling criminals trying to break into the house while my wife and I aren’t there. I know these fears are probably irrational, but I can’t help but worry. After all, it’s a big scary world out there, and I can’t protect my kid if I’m not with him. In truth, my son is pretty mature and he’d probably be fine on his own for a little while, but I’m not sure, and I feel like this is a big step. Basically: When can I leave my kid at home alone? Theresa Russo PhD, professor in human development and family studies:There are only three states [Maryland, Illinois and Oregon] that have any actual laws about children being allowed to be home alone, so every other state says to use your best judgement. The average age to start is in those tween years between 10 and 13. When your kid is ready depends on their maturity level and the amount of time you plan on leaving them home. What you would do with a 12-year-old may differ from your 10-year-old. You may even leave your 8-year-old home if you’re making a quick trip to the store. It really depends on their maturity. While leaving a child home alone may be something parents fear doing, it’s good for the child’s confidence level and you want them to become an independent person. So when the child is mature enough, the parents should work their way up to it. Start with some trial runs, see how it goes and build up from there. It’s a gradual learning process for the entire family. Number one is safety: Lay out the ground rules and what to do in case of an emergency and where you’ll be. Don’t scare them, but make sure they know what to do. Role playing is a good way to test things out, then a small trip away and extend from there. Over time, work your way up to other milestones, like watching their younger siblings or being home alone in the evening while you’re out. Overnight is a whole other level of maturity, so I’d wait a long time before you do that, if at all. Consider the setting and surroundings, too. It’s hard to compare the city versus the country because while a city may seem more dangerous, there are usually more neighbors around in an apartment building. In the country, it may seem safe, but they may not be as close to another house. Really, it’s just about whether you feel it’s safe. Ryan, a 911 operator, EMT and firefighter: The most important things to teach your child before leaving them on their own are how to call 911, their name and home address and making sure they know how best to get a hold of you. Teaching them when to call 911 not only can save their lives, but yours as well. As a 911 operator, we have ways to help callers find out where they are, but the easiest and quickest way to get help is to know the address where they live. Also knowing what the house looks like can be very helpful as well. If your local public safety agencies have open houses, attend them. That way your child can meet the men and women who may come to help them if they ever need them. Be sure you feel comfortable that your child knows how to call for help and how to exit the house. Having neighbors you can trust is also very beneficial. Check with them and see if they’re okay with your child calling them if they need help or if they need to go someplace safe. Make sure your children know what to do in the event of a fire: Practice with them getting out of the house and choose a meeting place. It’s not uncommon that children hide under beds or in closets during a fire, so practicing getting out of the house helps to ingrain in them the importance of getting out. 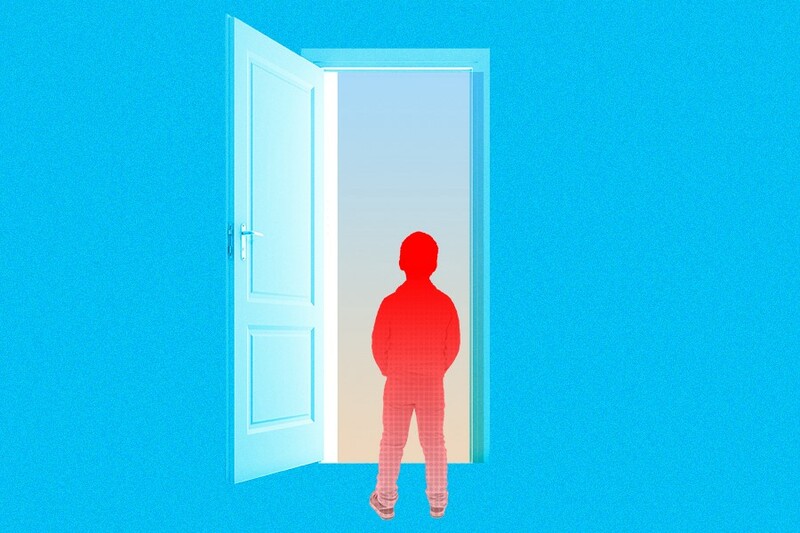 If your child is home alone and a stranger comes to the door, make sure they don’t open it for any reason — try to teach them to remember things about the people, what they’re wearing and what the cars look like. If you get anything out of this, make sure your kids know it’s okay to call 911. If they ever do it on accident, teach them to stay on the line and to let the operator know everything is okay. They won’t get in trouble if they call 911 because they’re scared and it turns out to be nothing. Michael L. Rich, an attorney concentrating in children’s and family law:In my opinion, it should be based on the individual parent’s view of the child’s maturity. There are some seven-year-olds that can be left home alone safely and some 15-year-olds that can’t. My typical rule of thumb if my client is asking this question is that I cite that the Boys and Girls Club and the Girl Scouts give babysitting classes to 11-year-olds. So a mature 11-year-old who has taken these classes and cared for other children should be able to stay home alone. Oftentimes, things may depend on if anything happened while the child was home alone. You could have a latchkey kid who is home alone at age six or seven when they first start school, and the parents feel that they can go to work and leave the kids home alone for a couple of hours after school. That may be fine until the power goes out or there’s an incident where the kid burns himself by cooking something in the microwave. Then the authorities get involved, and regardless of how long the child has been safely home alone, it becomes an issue that the child was left home alone on this occasion. Another thing that might happen is that a child responsibly calls 911 and police arrive at the home where the child is left alone. Then there’s typically a call made to child protective services, even if everything was prepared for and the child did exactly what the parent said they should do. All 50 states have mandated reporting laws saying that various professionals (police, firefighters, etc.) must report when they have reason to suspect that a child is being abused or is at risk of injury from neglect. So everything could be fine until there’s an incident. To understand what may happen, a parent should research their state laws around neglect and figure out what defines neglect. Also, most states’ CPS agencies have regs around neglect with more detail. So it might help you to be aware of your state’s laws regarding child welfare before leaving your child home alone. Stella, mother of three boys: I started leaving my oldest son home alone last year when he was 11. It’s not for long periods of time, but I had to go into the office so I gave him a key and started trusting him to come into the house after school. He has the routine of calling me as soon as he gets in, then he’d go to the bathroom and start his homework (or so he told me). The longest we ever left him so far was about 45 minutes. This was a good way to ease him in and get him used to it. I think that, before a kid is left alone, they need to have the knowledge of what to do: What to do if there’s a fire? What to do if someone’s knocking on the door? Where’s a place to hide if someone came in the house while you called 911? We reviewed all that with my son beforehand, and he understood and wasn’t scared by it. Now, with my middle son, I don’t know if I’d start at the same age because he’s not a confident kid. I could trust him, but I don’t feel he’s confident enough to know “what to do.” He’s more scared. Lately, there have been a few times where I ran to the store around the corner and left the three of them together, but that hasn’t always worked out. I was gone for about 10 minutes to buy them sandwiches; when I came home everything looked good, but then they said, “Did you know we were fighting?” First I thought, “Okay, you’re idiots for telling me.” I did, though, get the whole story on what happened. It’s because of that that we don’t quite trust my oldest with watching the other two yet. He’s very level-headed and he’d know what to do in an emergency, but he’s not mature enough to watch his brothers because he’ll fight with them. Todd Strasser, author of the novelization of Home Alone: I guess from about 10 years old, until they figure out how to get into the liquor cabinet. It stops at that point.